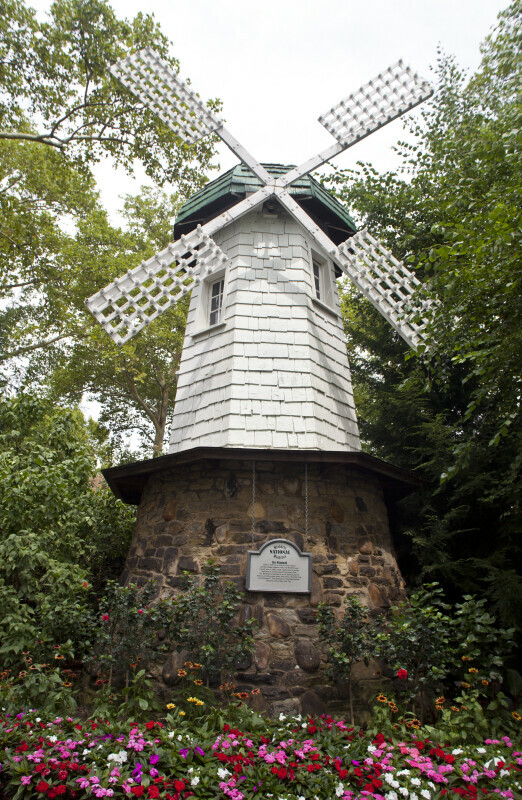 "Built in 1929 on an island in the Lagoon (Garden Stage location now), the Windmill was moved here in 1940. It was copied from a similar attraction at Coney Island, Cincinnati, Ohio. The Windmill is included in an oil painting by the famous primitive style artist, John Kane - "Scottish Day at Kennywood". The painting is in the Metropolitan Museum of Art, New York City." WARNING: You are about to download a 30.0 MB TIFF!